Do you Consider Spinal surgery? Think again. Stretching SAUncategorizedDo you Consider Spinal surgery? Think again. Medicare spending for inpatient back surgery more than doubled over the decade. Spending for lumbar fusion increased more than 500%, from 75 million dollars to 482 million dollars. In 1992, lumbar fusion represented 14% of total spending for back surgery; by 2003; lumbar fusion accounted for 47% of spending. Dr. Rosomoff M.D. was discussing “failed back surgery syndrome” of which there is a documented 50,000 cases, every year. While lecturing at the American Academy of Pain Mangement symposium, it was his opinion that surgery should only be performed in 1 in every 500 low back cases. He felt that that would eliminate 99% of all surgical cases. Low back structures are physically close to one another, and because surgery in the lower spine is in itself stressful to the area, it can weaken and de-stabilize the area. Structures that have not been removed can become damaged or stressed as a result of the surgery and themselves become a new source for pain. Surgery always results in the formation of some amount of scar tissue. If the scar tissue itself forms near any of the nerves, it too becomes an independent source for pressure and consequently for pain. Since disc removal surgery inevitably takes place right near the afflicted nerves, there is a distinct possibility that the nerves themselves will be damaged during the procedure. If that happens, the nerve damage itself results in continued pain. Low back surgery always requires the use of anaesthesia and anaesthesia itself is associated with a great number of medical risks including death. All surgery, including low back surgery, is associated with infection risks. The risks begin pre operatively with the injection of anaesthetics or other preparatory drugs and continue straight through the surgical procedure itself. The risk of infection remains throughout the postoperative recovery period whether that recovery occurs in hospital or out. If infection sets in, the infection itself can cause independent medical problems as well as become an independent source of pain. Low back surgery requires significant recovery time. . . Time which many patients cannot afford to lose. Recovery time can be from 6 weeks for a laminectomy to 15 months for spinal fusion. Many low back pain sufferers are not good candidates for surgery, either because they have medical conditions that raise the normal risks to intolerable levels, or because their particular sources of low back pain are not susceptible to relief via surgery. Even if the surgery is successful in and of itself, and even if no procedure-related problem actually develops; there is the high probability that within 2 to 5 years, another surgery will be needed to fix the level(s) above or below the ones that were the target of the first surgery. The sheer force of normal weight and gravity on the spine during the course of everyday life will result in the development of new problems and thus, new sources of pain. Once you go down this road of surgery you will increase the chance that you will need further surgeries in the future. 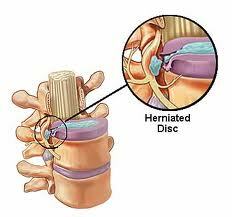 Increased wear and tear on the disc above or below the sight of the original disc injury will occur because of the weakening of the spinal structures. The surgery can tear into muscle and remove bone that destabilizes and promotes de-conditioning. Case in point: a gentleman suffering with severe low back pain came in who had been through 7 spinal surgeries. Unfortunately there was nothing that we could do at that point. Surgery is appropriate only in a select few. It is the opinion of stretch therapy South Africa that all alternatives to surgery should be attempted first. Please call for a consultation at 0129918710 and let’s find out if you are a candidate to rehabilitate your back problem with a non surgical bone and muscle repair system. Surgery should always be your last choice. “Motivated” people who want to feel better and improve their quality of life. People who are looking for a natural way to end their pain and are committed to preventing re-injury. People who want/need to improve their functional abilities. People who are pro-active in their own health and want to avoid back surgery if possible. People who put more value on results and service than they do on shopping for the lowest-cost provider. People who understand the value of alternative health care methods, and has heard of the amount of successful cases we had. People who are willing to invest in their health for the long term. People who expect and appreciate a therapist who will take the time to listen, discuss and advise. People who expect a friendly and knowledgeable staff. My mother has been having pains for about 3 yearsmon her leg which we thought was a hip issue. Went to see a spine specialist, who did an X-Ray and MRI scan on her. She has supposed to have gone for surgery on the 18 May, however her blood pressure was way too high and she currently now taking medication to bring it under control. The surgery has been postponed to the 26th June, but I keep thinking if there really is serious need for the go for the surgery. I need advice, as the doctor never suggested anything but surgery from that first visit. My mother is 64.